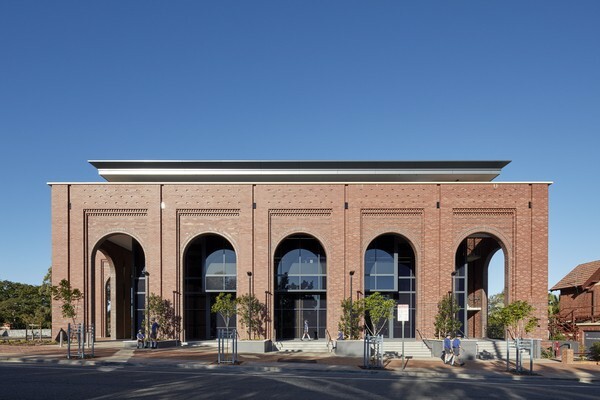 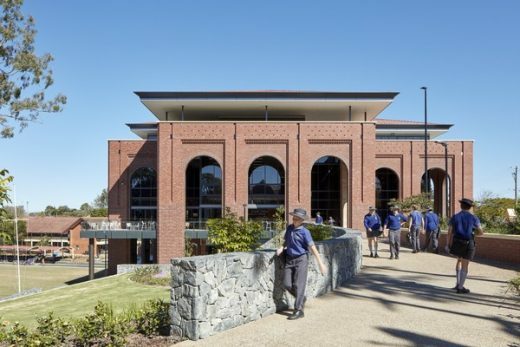 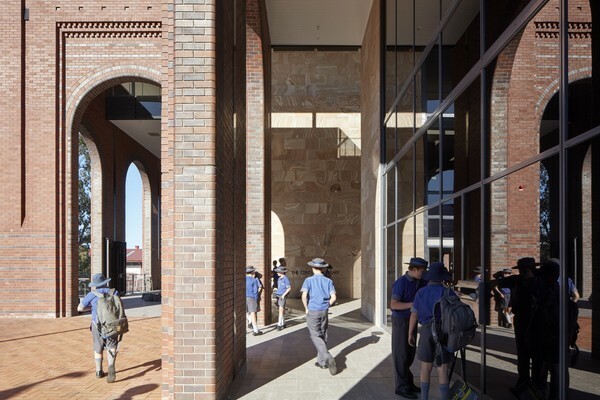 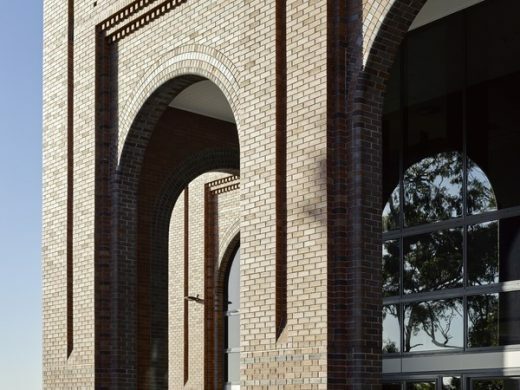 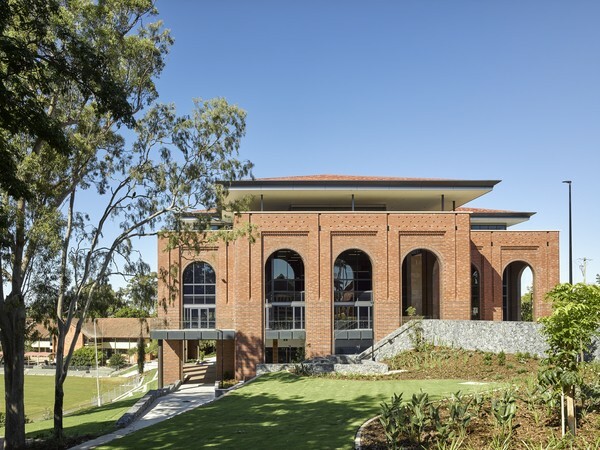 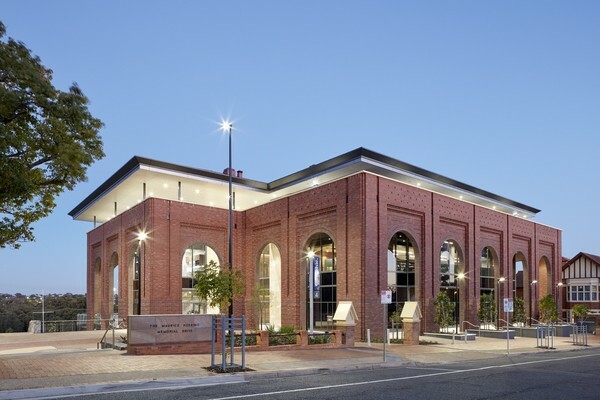 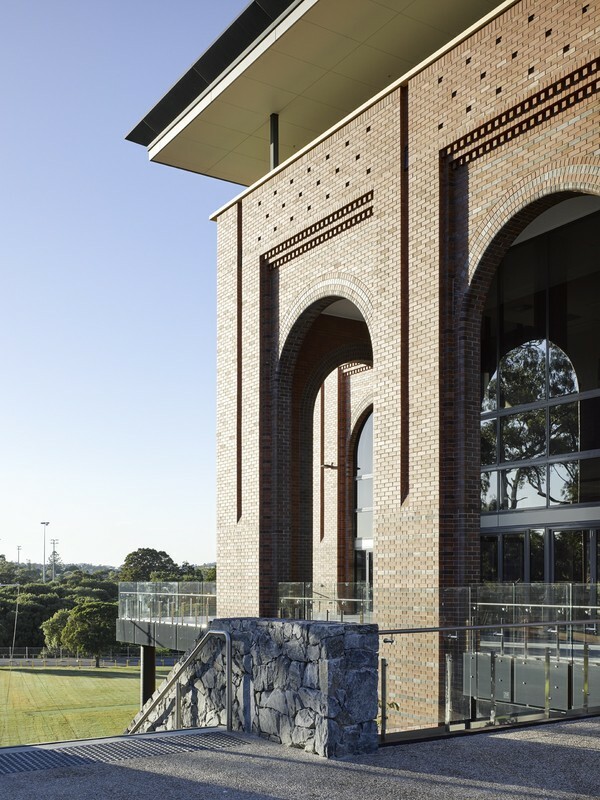 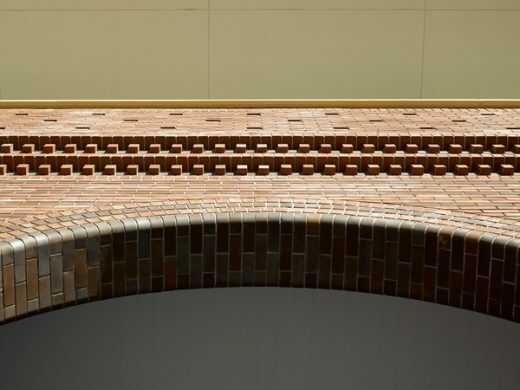 Respect to the school’s archetype of red brick, steep tiled roofs, ornate detailing and cream capping, seamlessly integrates the Centenary Library with adjacent heritage buildings and wider campus. 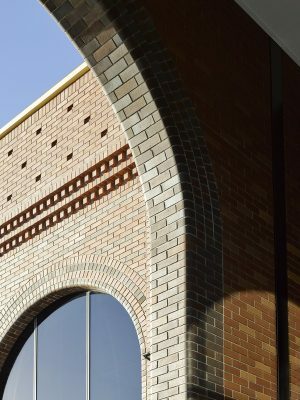 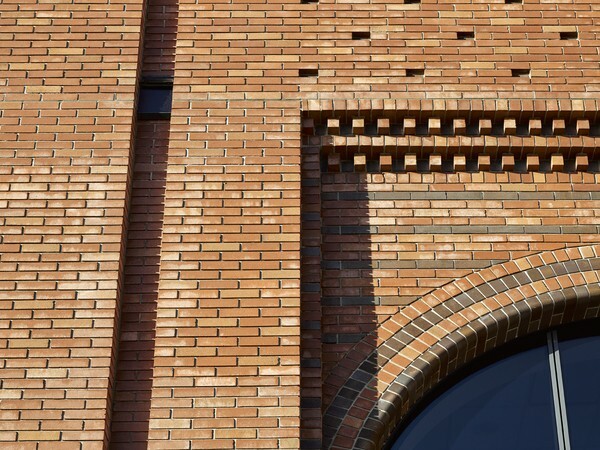 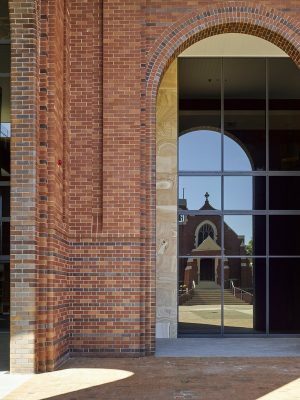 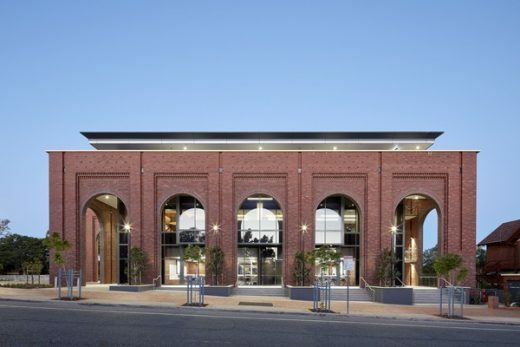 The deep and detailed brick façade stands sentinel to the modern internal glass ‘cube’; a testament that the past and future can coexist in the present. 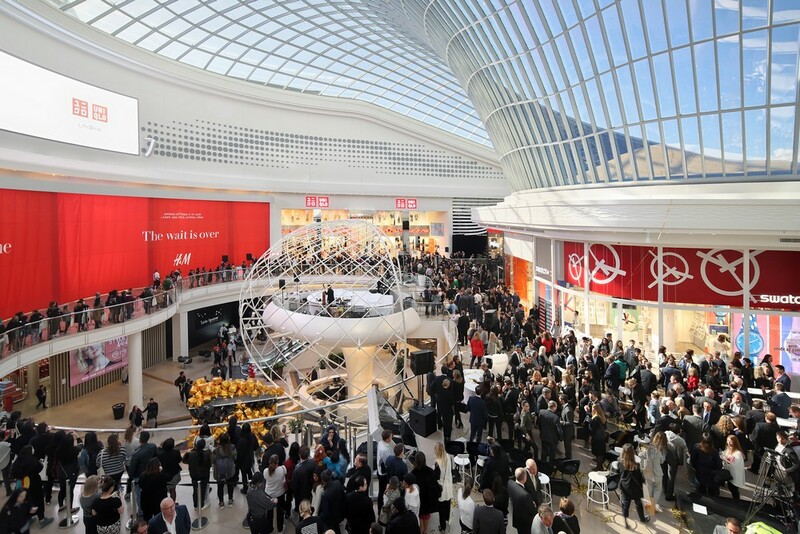 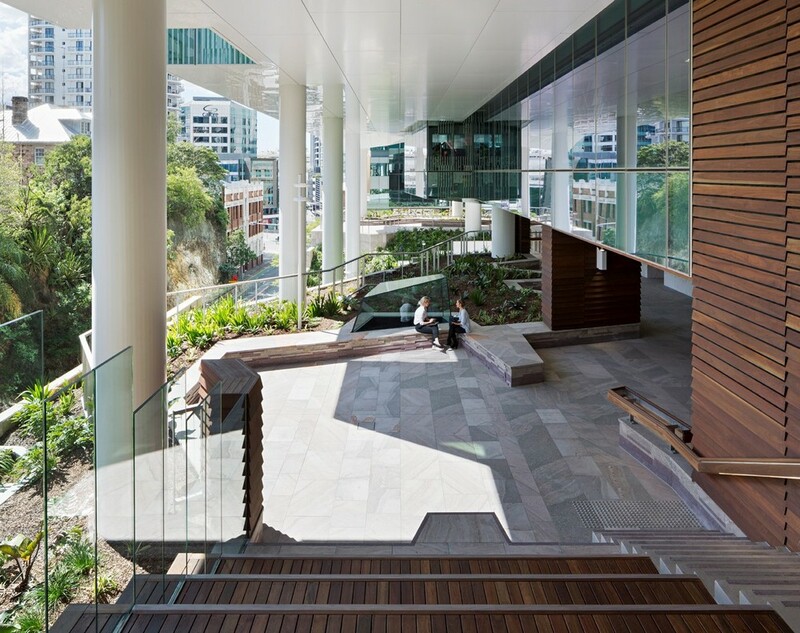 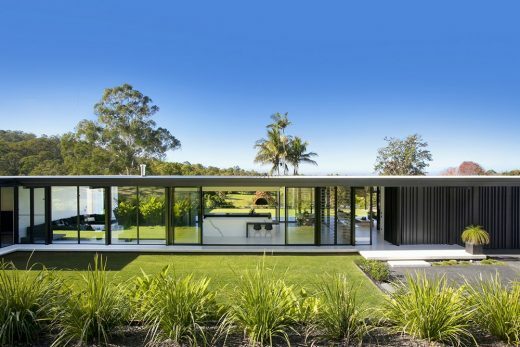 The result is a timeless iconic building that activates the footpath edge to enrich the urban experience. The educational brief redefined the library’s role as the ‘heart-of-the-school’ during a time that many are questioning the importance and purpose of school libraries. 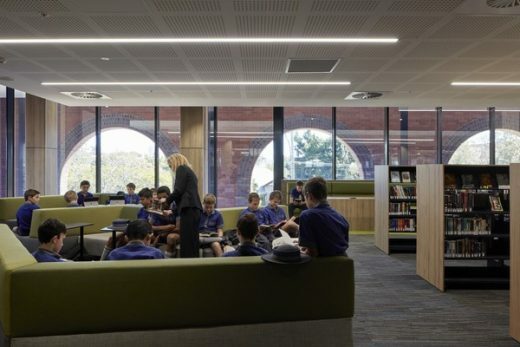 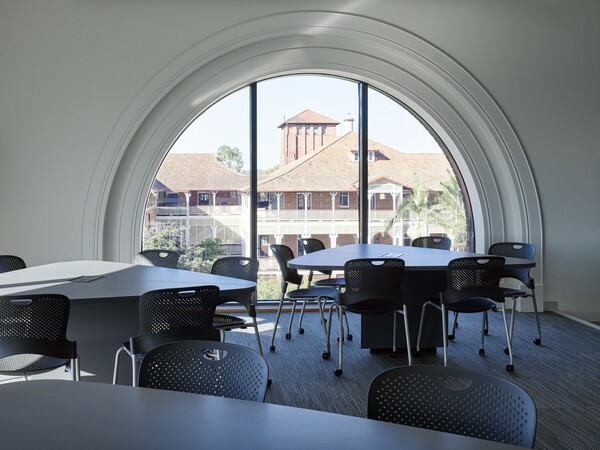 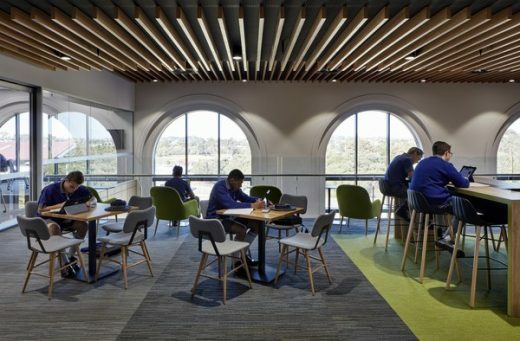 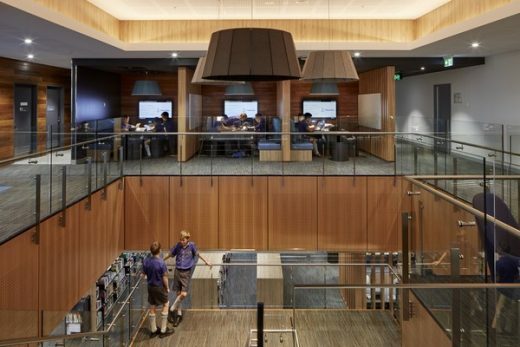 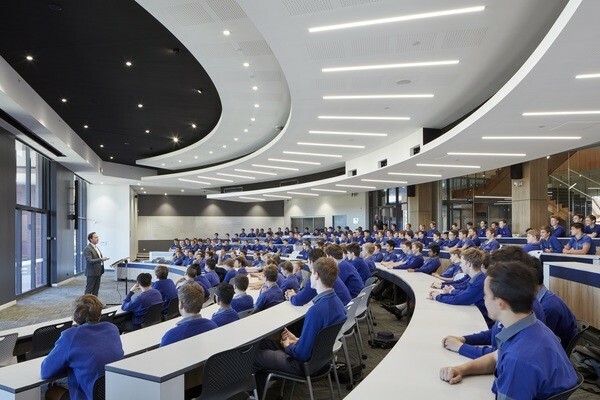 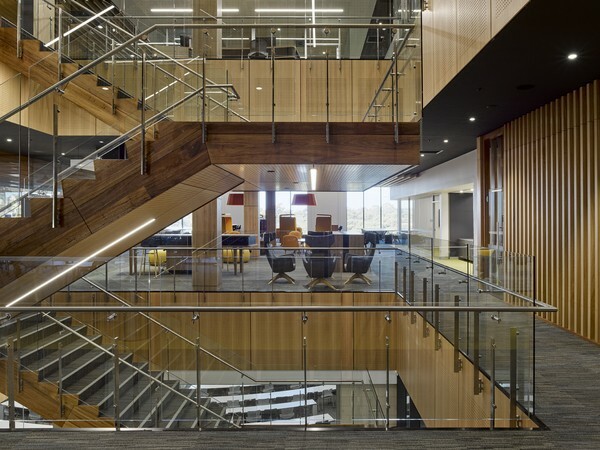 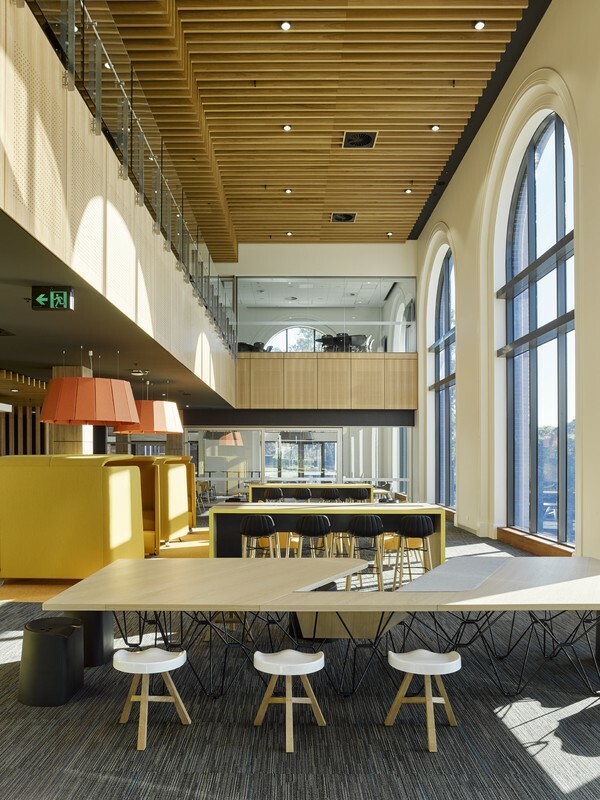 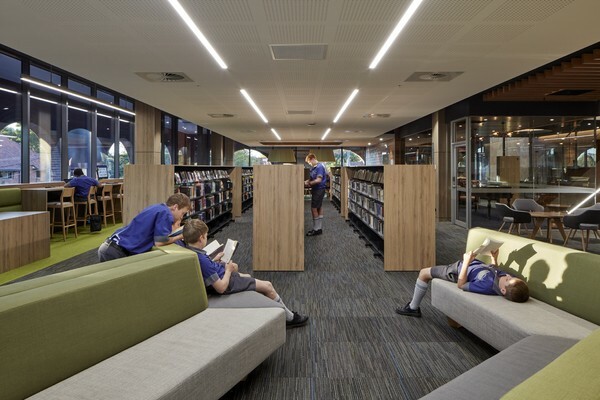 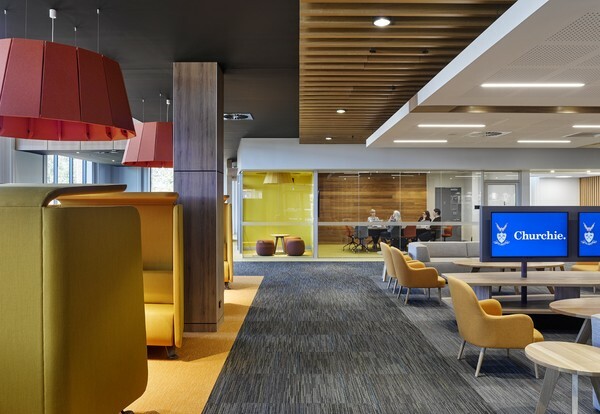 The resulting space functions like a tertiary library, through a service-orientation that extends learning beyond the traditional school day and connects students, teachers, parents, alumni and the broader community. 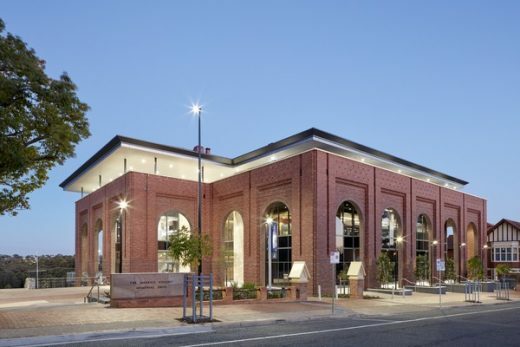 Through its occupation, the Centenary Library exceeds its brief. Longitudinal post-occupancy evaluation suggests it has indeed become the ‘heart-of-the-school’ at Churchie. 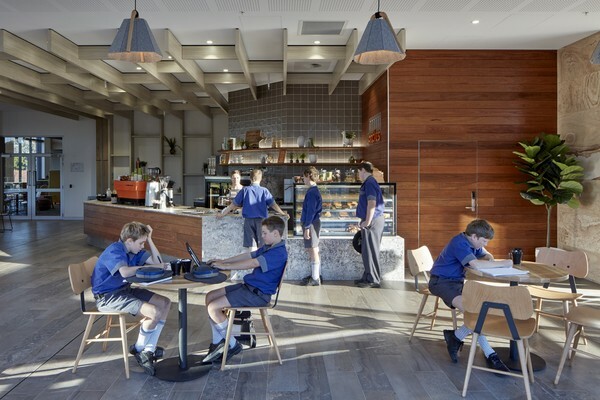 The average occupancy rate of 61% indicates substantial daily student inhabitation. The previous library was a space for English and the Humanities; now its curriculum foot map extends to utilisation across all subjects.